Even if you live in a New York apartment you can bring a touch of the countryside with you. 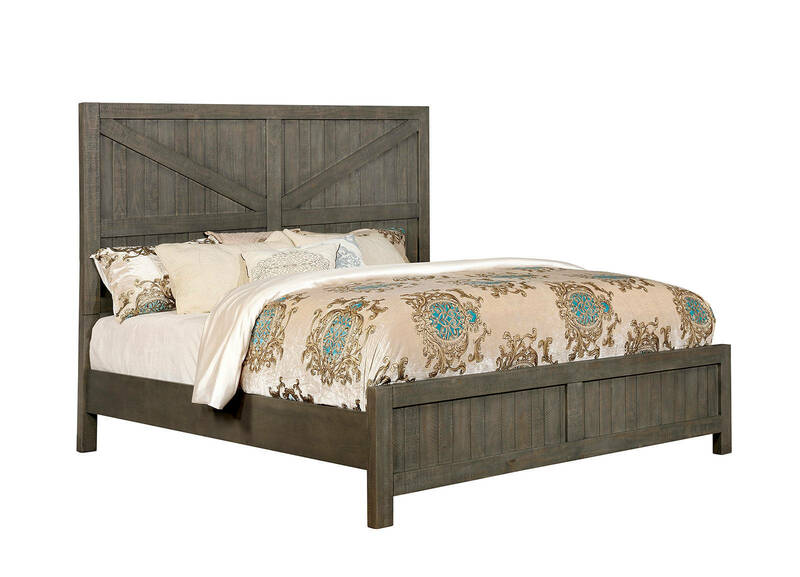 This bed has all of the right notes of rural warmth with a smoky gray finish, giving you a mature look and sophistication. The headboard features a barn style plank pattern and an equally hearty construction.